La Jolla is known for its fine dining, beautiful beaches, and five-star hotels; but staying here for more than a few days can definitely start to add up! If you’re heading to the Village or La Jolla Cove with family or just want to stay in a more low-key spot, we’ve found a few La Jolla hotels that won’t break the bank. Though rates aren’t guaranteed, these places are typically more affordable than other hotels in the area; however, it’s always a good idea to call the hotel ahead of time to double check the rates. 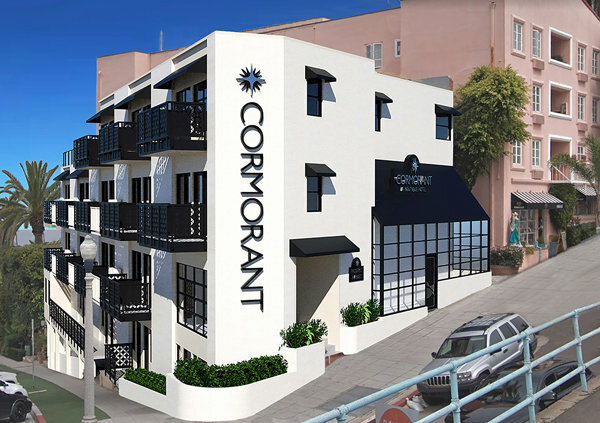 The La Jolla Inn has recently come under new ownership and is being remodeled and rebranded as Cormorant La Jolla, a Boutique Hotel! The Cormorant is looking to fill a boutique hotel niche in the Village, advertising itself as ‘low-key luxury,’ and is set to open sometime in 2019. Guests will enjoy expansive coastal views from their ocean-view balcony rooms and rooftop sitting area, with easy access to nearby shopping, dining, recreation, and attractions along historic Prospect Street. Stay tuned for more details! 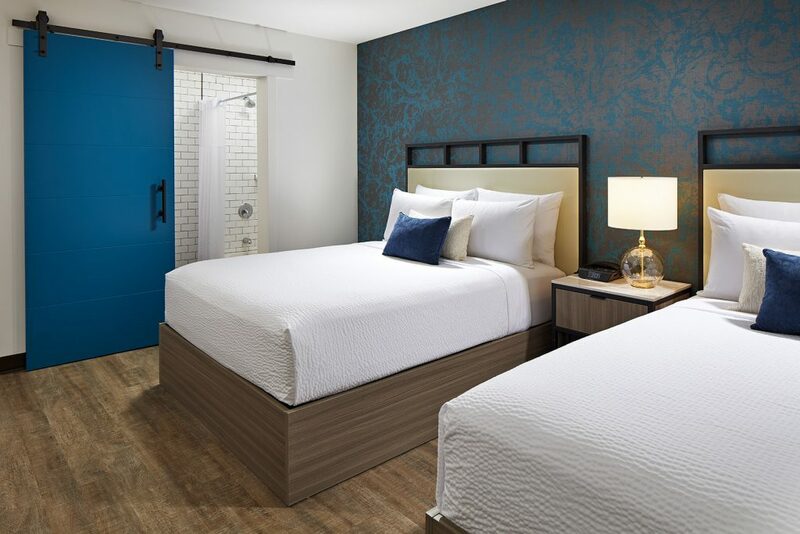 After a massive multi-million dollar renovation of the La Jolla Travelodge, The Shoal at La Jolla Beach announced its grand opening last December as one of La Jolla’s newest boutique hotels. Originally built in 1956, this latest renovation is the most extensive upgrade in the property’s history. Completely transformed from a traditional Travelodge to a luxurious boutique hotel, The Shoal is primed for both business travelers and vacationers. Rebuilt from the hotel’s original structural bones, The Shoal was redesigned with a focus on environmental sustainability and upscale comfort. The Sands of La Jolla is a family-owned and operated boutique hotel that recently remodeled all of its rooms and suites. Though it’s a bit closer to the Bird Rock neighborhood, it’s easily walkable to downtown La Jolla and is just a few minutes’ walk from nearby La Jolla beaches like Windansea Beach (surfers love it because it’s also close to Tourmaline, a surfing hotspot). All rooms have balconies or patio, and there’s a heated pool and outdoor lounge onsite. Rates stay between $93 and $129, depending on availability. Check the website for more information. At the edge of downtown La Jolla and tucked away in the business district, this 30-room 1950s-era motel was recently restored in period mid-century style with custom-built tables and chairs, teak headboards and new mattresses. Rooms have kitchenettes and the motel’s roof deck gives long-distance views. There’s a continental breakfast in the lobby each morning, as well as free parking onsite. Rates are usually between $110 and $139, again depending on which site you book through and whether or not it’s a weekend. Check website for more info. 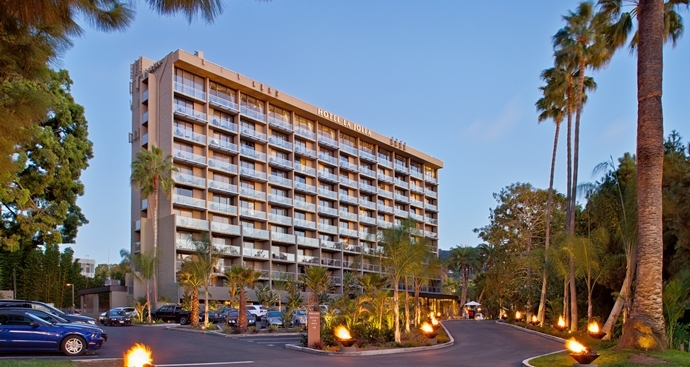 The Sheraton is not located in downtown La Jolla, but is directly next to The Shoppes at La Jolla Village Square and is about a ten or fifteen minute drive to the downtown area. This hotel is nice in that it’s a bit more spacious than the hotels directly in the Village, and features several acres of tropical garden-like area with a koi pond. They have two fine dining restaurants on site, as well as a heated pool and Fitness Center. There are 252 rooms, so there’s a better chance you’ll be able to reserve one here if the others are sold out! Rates are usually much cheaper than those in downtown La Jolla, and hover between $99 and $110. Check their website for more info. Whether you’re staying next to La Jolla Cove, Torrey Pines, or La Jolla Shores, there’s a Southern California hotel for you! 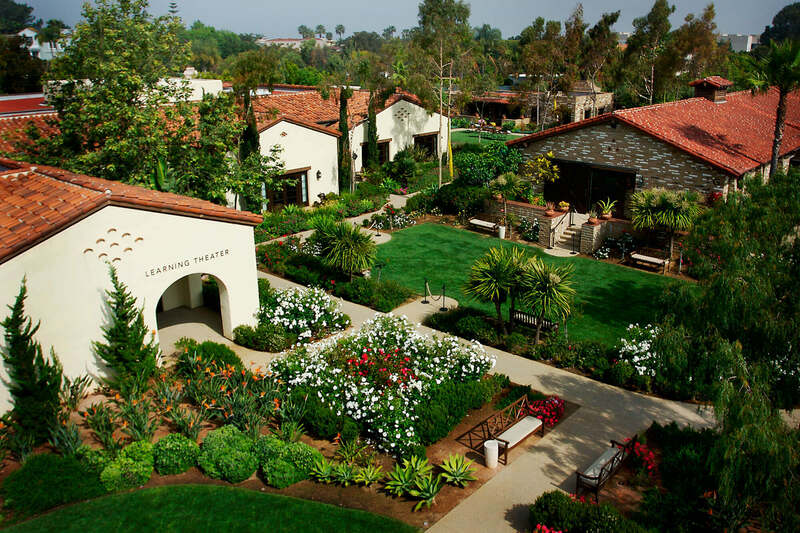 For more information on hotels and where to stay in La Jolla, including luxury hotels (like La Valencia and Estancia La Jolla) head to our Hotels Page. With its world-class beaches, luxurious hotels, and renowned fine dining, La Jolla is a truly one-of-a-kind weekend getaway destination. While you’re here, explore a variety of boutiques, cafés, la jolla restaurants, galleries, and museums, and enjoy a number of outdoor activities. And at the end of a long day, allow yourself some much-needed R&R at a gorgeous local hotel right here in La Jolla. This is your complete guide to La Jolla hotels, from quaint B&Bs to luxurious coastline resorts! Affectionately known as “The Pink Lady”, La Valencia has been an icon of elegance and grandeur in La Jolla since it was built in 1926. 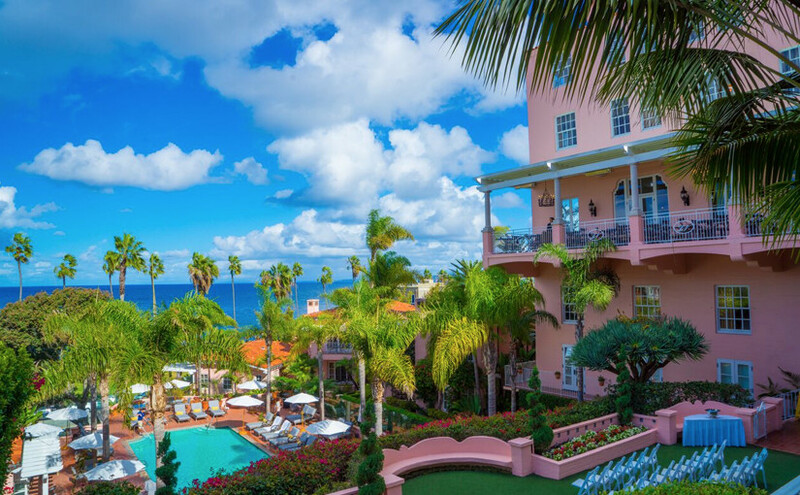 Sitting on the hillside overlooking the Pacific Ocean, the resort’s Mediterranean architecture still enchants visitors today as it did during its heyday as a Hollywood hideaway. 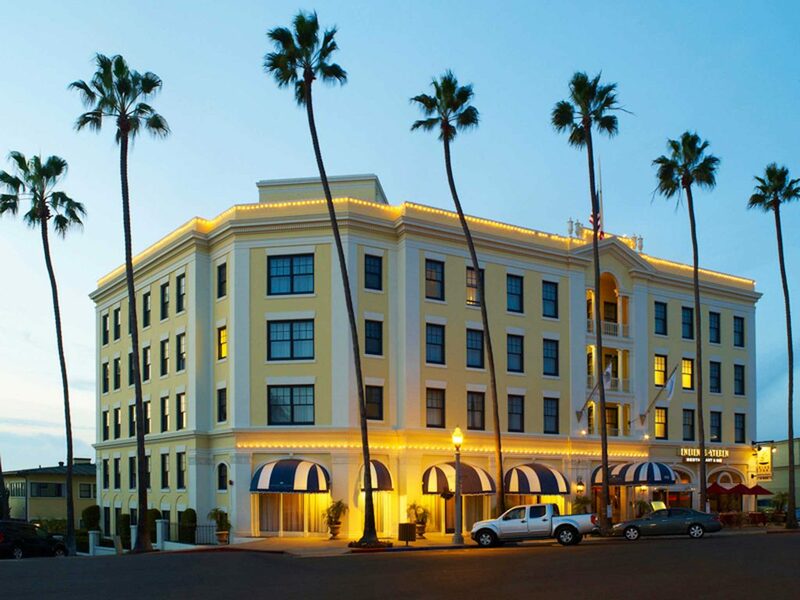 La Valencia embodies a distinct vintage, historical charm that you won’t find in many other contemporary hotels. From the red tiled floor to the painted ceiling and, of course, the exterior pink paint, La V remains unmistakably regal. Inside, guests are treated to charming rooms with ocean views; upgrade to a larger suite for more privacy and even better panoramas. 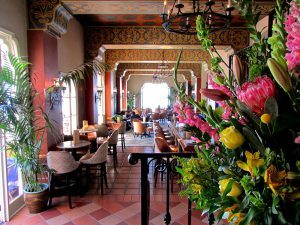 La Valencia is a local icon and a fantastic option for a romantic getaway or a San Diego staycation. 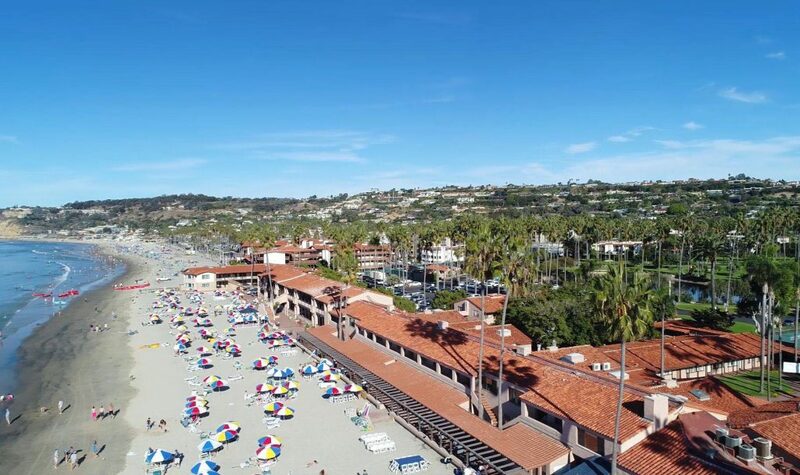 The La Jolla Shores Hotel shares the same beach as its sibling hotel (LJBTC) and thus offers many of the same incredible amenities, including stunning views.. 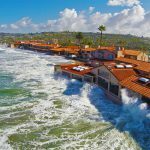 If you’re dreaming of waking up to the sound of crashing waves, taking a leisurely walk along the sand with a cup of coffee, or sipping a cocktail on the beach as the sun sets, then the La Jolla Shores Hotel is the destination for you! Some rooms have kitchenettes, great for saving a few bucks on breakfast so you can splurge on dinner. The beach is just steps away from most of the rooms, and a pool and spa occupy some prime real estate right on the sand in front of the hotel. You won’t be disappointed if you’re looking for a beachfront getaway! Want to stay right on the beach? Look no further than the La Jolla Beach & Tennis Club, one of the few San Diego hotels that are literally right on the sand. Built in 1935, this luxurious spot has its own private beach complete with lounge chairs, water service, and even nightly s’mores roasting! Rooms range from street view to ocean view 3-bedroom suites, and many have kitchenettes (great for families with kids). The Marine Room restaurant is right next door, one of San Diego’s finest oceanfront restaurants (read about their High Tide Dinner here!). Kayaks and water sport toys are all available for rent right on the beach, and tennis, sparkling pools, and gorgeous grounds all make this a serious destination resort. 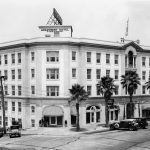 The Grande Colonial opened back in 1913 when La Jolla was still a sleepy little beach town and rooms went for $25 to $50 a month. Over the years, the hotel has gone through multiple updates, and now has clearly found its place as one of the most elegant ocean view luxury hotels in San Diego. With traditional furnishings and decor, The Grande Colonial looks like something out of a magazine. Rooms are updated and upscale, and Nine-Ten Restaurant & Bar on the first floor is a local favorite, helmed by an award-winning chef and boasting fresh local California cuisine. The beach is an easy walk down the street, and its downtown La Jolla location means there is plenty to do during your stay; from exploring the local La Jolla nightlife to checking out one of the art galleries and museums. The beautifully adorned adobe buildings and rustic setting at Estancia gives way to spacious stone courtyards, bubbling water fountains, outdoor fireplaces, and an air of understated elegance. 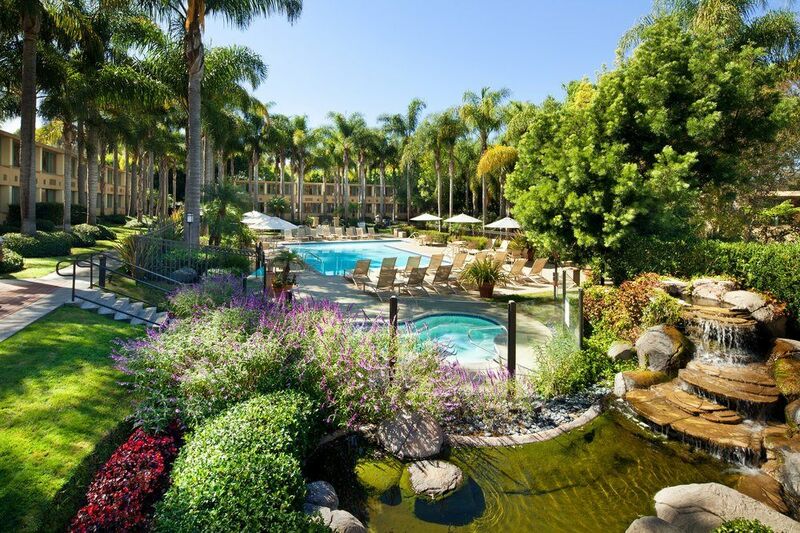 Located next to the Torrey Pines Golf Course, this particular resort boasts gorgeous views and a relaxing ambiance; perfect for a couples’ weekend getaway. Rooms are tastefully done with contemporary tones and upscale furnishings, and the grounds are truly exceptional. The popular spa is a destination in and of itself, and several restaurants throughout the property offer different types of food for all tastes. 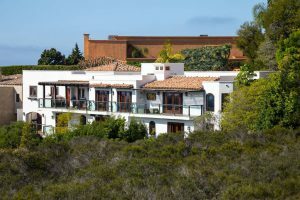 What we love most about the Estancia La Jolla is its unique approach to luxury; calm, quiet relaxation is the order of the day here, and although it doesn’t boast ocean views or a bustling downtown scene, you will no doubt leave feeling refreshed and ready to tackle the week ahead! Set amongst the pines, The Lodge at Torrey Pines looks more like something you would find at Lake Tahoe than oceanfront San Diego! An upscale Craftsman-style resort with excellent restaurants, a fabulous pool, and full-service spa, the Lodge is a great getaway for golf lovers and vacationers alike. Located right at the 18th hole of the Torrey Pines Golf Course, this is a fantastic option for those looking to spend their weekend time out on the course. Customer service, attention to detail, and panoramic views of the golf course and the Pacific Ocean make The Lodge a true one-of-a-kind experience. Enjoy fine dining at A.R. Valentien, or spend the day strolling through the grounds and experiencing everything the on-site Spa has to offer (massages, facials, etc.). 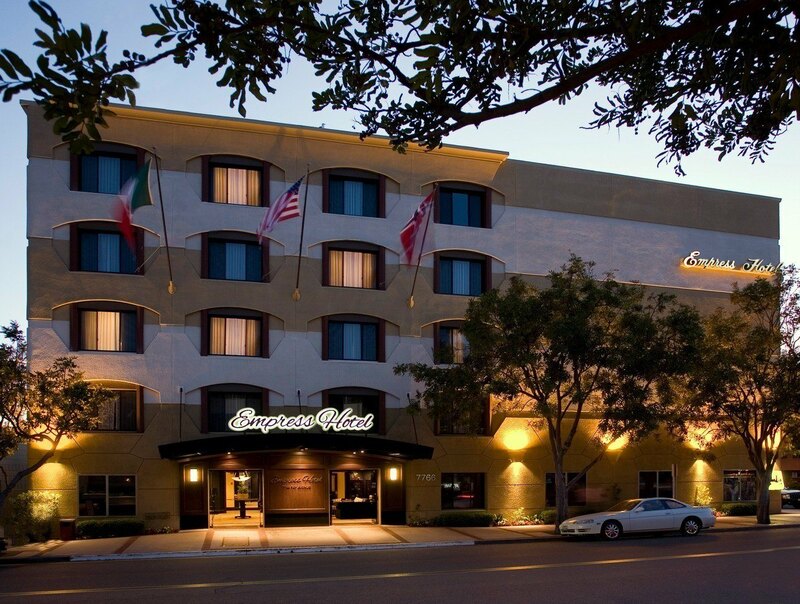 170 guest rooms and suites are sprinkled throughout the grounds, and downtown La Jolla is just a few minutes’ drive away. For a bit more bang for your buck, the Empress Hotel is a great (pet-friendly) option for families. This comfortable, European-inspired base offers newly renovated accommodations that feature spacious floor plans, upgraded furnishings, and gourmet coffees and teas. Waiting for you just beyond your bedroom each morning is a complimentary continental breakfast, the perfect way to start your day before hitting the beach or exploring downtown. 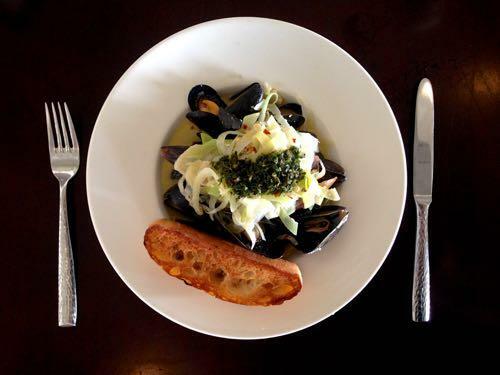 Manhattan of La Jolla, the hotels’ on-site restaurant, serves classic Italian fare in the heart of California. From the fresh Caesar salads, made tableside, to the fine wines from the extensive list, this go-to spot’s menu strikes the perfect balance of European and American coastal. Pick from a selection of al-dente pastas, steaks and fresh seafood, and don’t miss the piano player on weekends! Situated right in downtown La Jolla, its location makes it a breeze to explore everything the Village has to offer – including restaurants, shops, and art galleries. Nestled among the palms a few blocks away from La Jolla Shores beach, this boutique hotel is a fun escape from the hustle and bustle of downtown La Jolla. 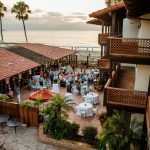 The hotel is also minutes from La Jolla Village, the Scripps Institution of Oceanography, and the University of California, San Diego. Rooms here are casually chic and come with balconies, many of which overlook the Pacific Ocean. Choose a suite for a living area with sofa and gorgeous ocean views from three balconies. Cusp Dining & Drinks, the 11th-floor restaurant, and lounge, boasts a California coastal menu and expensive wine list (and a great ocean view!). Their outdoor poolside lounge, Hiatus, is a fun way to spend the day or a nice spot for an evening cocktail. Other perks include the on-site fitness center, outdoor pool, and complimentary bikes for exploring the city. For more things to do in La Jolla, check out our La Jolla Cove and San Diego guides! The state of California is not simply a popular destination for vacationers within the United States. Millions of tourists from around the world come here every year for business and pleasure. There are many factors that play a role in this popularity. The fact that there are so many terrific cities to explore does have something to do with it. 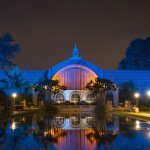 San Diego and San Francisco are definitely two of the cities that make this list of attractions. There are great reasons to choose either of these cities and also things to watch out for. 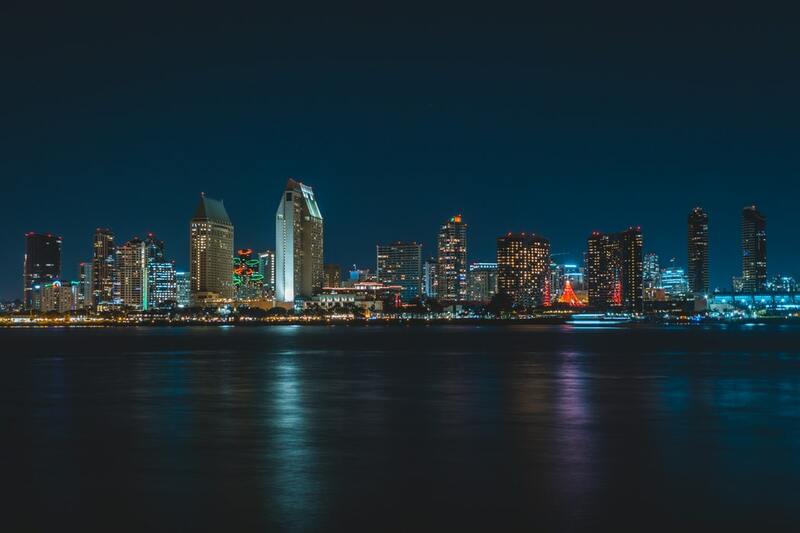 It doesn’t matter whether you are visiting San Diego for work or for vacation. You will discover attractions that are central to this city. Some of these include outdoor activities, restaurants, and shopping experiences. The same can be said about those going up north. 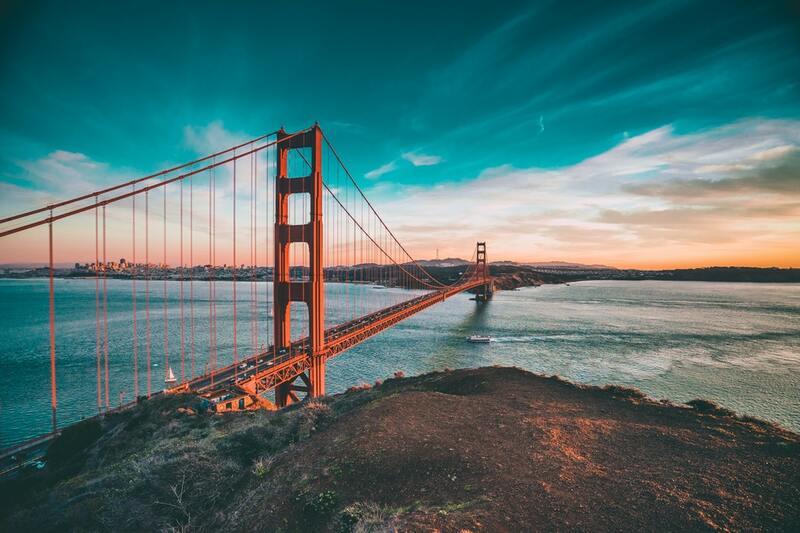 Whether you’re sightseeing or overseeing condominium kitchen remodeling in San Francisco, the City by the Bay is sure to impress. Warm weather and sandy beaches are a part of the appeal for San Diego. There are many other attractions and excursions available here. 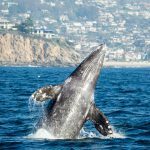 A day trip to Tijuana, the San Diego Zoo, and the Mission San Diego de Alcala are just three of the popular things to do in the city. Those with kids may want to consider driving north to Carlsbad and visiting LEGOLAND California, since it’s only a 40-minute drive. Scheduling sightseeing tours will help you explore further. Along with the terrific things in San Diego tourists need to be aware of things that could negatively impact their trips. Traffic is an example in this category to consider for those renting vehicles. Trolleys and public transportation provide shortcuts to getting around the city. 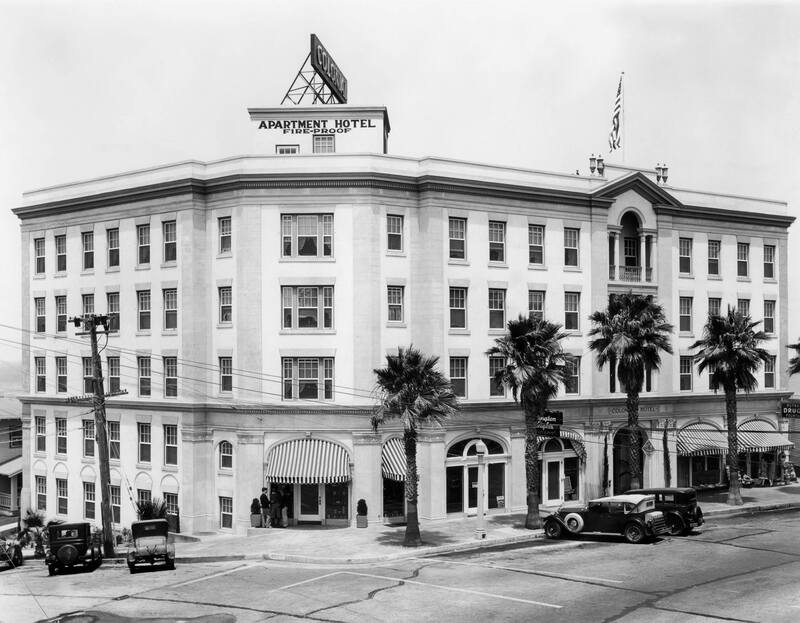 If you are considering your budget when finding accommodations, the city hotel tax may be of interest to you. Not every travel guide will show you hidden treasures, so plan to get out and explore on your own for things to do. If you are planning on visiting San Francisco you are like more than 26 million other travelers this year according to San Francisco Travel. This number is actually up 2.6% from last year’s visitors to the city. The city offers vacationers and tourists a lot to see and to do. It doesn’t matter whether you explore the wharf area or visit Alcatraz Island. You will discover things that are central to the area like tasty sourdough bowls of chowder or soup. The rolling hills of roadways and the most crooked street are attractions that vacationers love. Traffic and smog are among the top things that may affect your experience while in the city. These don’t, however, have a big impact on most travelers. It is important to plan ahead when it comes to visiting popular locations and attractions. Since so many people come here some of these will be quite crowded. This is the case no matter what time of year you plan to travel. Homelessness is another issue that can be seen in many portions of the city. This doesn’t prevent vacationers from coming each year. If you’re traveling to both San Diego and San Francisco, there is a way to fit in all of your top attractions. You may opt to fly into one city over the other on your trip. Depending on the length of your trip this may be a way to see the differences between Southern California vs. Northern California. This is an 8+ hour drive that is filled with scenic beauty and sights only seen in this amazing state. You will be able to embrace what makes it unique and interesting to tourists. Looking for a quintessential Southern California experience? Look no further than the beach! Home to some of the best beaches in San Diego, La Jolla’s specialty are seaside B&Bs and quaint cottages. 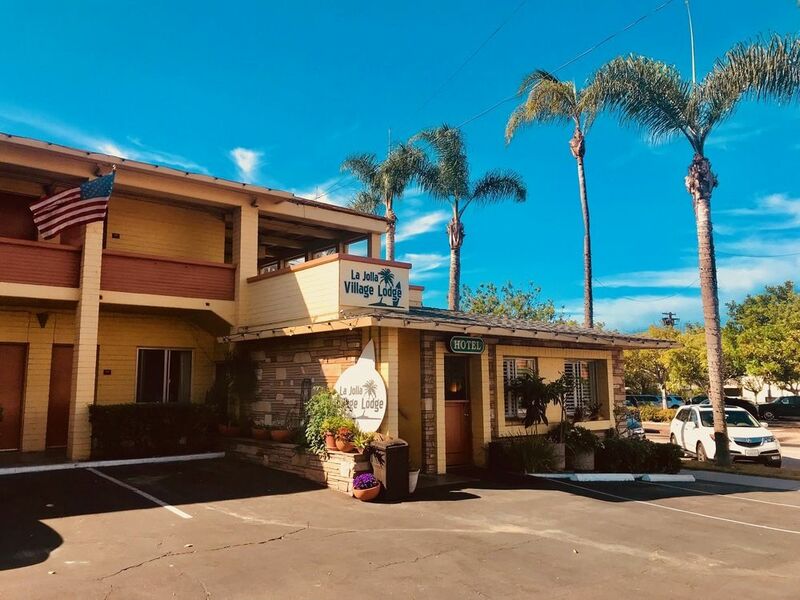 While there are some great hotels in the Village (Redwood Hollow Cottages, Pantai Inn), the more relaxed vibe of La Jolla Shores comes with its own set of incredible lodgings. Here are our picks for a beachfront stay at La Jolla Shores! 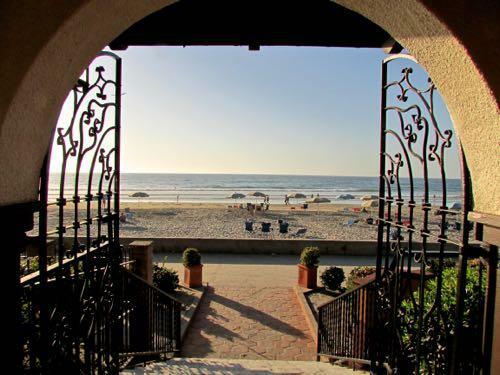 Tucked away on a quiet street directly on the ocean, La Jolla Shores Hotel’s hacienda-style rooms and vibe create a welcoming, friendly atmosphere that is perfect for a weekend beach getaway. The Hotel was built starting in 1967 by the Kellogg family (of La Jolla Beach & Tennis Club and The Marine Room fame) and officially opened in 1970. 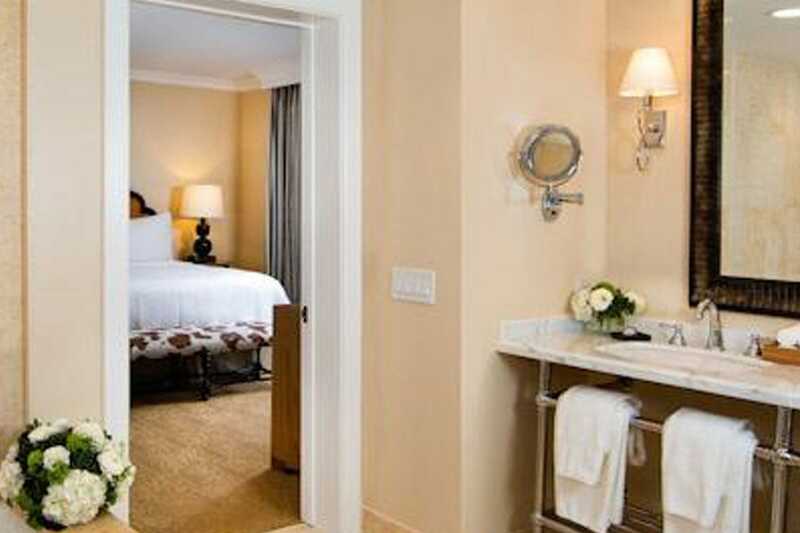 Guest rooms feature unparalleled views of the Pacific coastline, and most rooms offer a balcony and full kitchenette. The property is just steps away from the sand and conveniently located next to Kellogg Park; complete with a playground and plenty of room for active little ones. The Shores Restaurant and The Marine Room are your two main dining options here; both are world-renowned for their incredible cuisine. Enjoy the open-air patio and more laid-back feel of the Shores Restaurant or enjoy an upscale fine dining experience on the water at the French-inspired Marine Room, where you’ll get to see waves crashing up against the windows while you eat. Pro-tip: the High Tide Dinner and Breakfasts are e a one-of-a-kind experience at the Marine Room! Do try and book one if it happens to coincide with your stay. Originally opened in 1927 (as the La Jolla Beach & Yacht Club), the La Jolla Beach and Tennis Club is one of the most historic hotels in La Jolla and definitely has a resort feel. Complete with one, two, and three-bedroom suites; outdoor pool; private beach with full food and beverage service plus barbecues and umbrellas; 12 championship tennis courts; a nine-hole golf course; children’s playground; a spa, and tons of other amenities, this is the perfect place for an extended vacation with the entire family. You’ll still have access to The Shores Restaurant and the Marine Room, as well as Club Dining, which is the resort’s exclusive members/guests-only restaurant. Explore the rest of La Jolla Shores during your stay, which is just a few minutes’ walk out your door. There are plenty of restaurants, shops, and activities in the neighborhood; including, of course, water activities like kayaking and paddle boarding! If casual chic is your thing, you’ll love this boutique hotel! Located a few blocks away from The Shores, Hotel La Jolla is a bit further from the hustle-and-bustle of downtown La Jolla Shores; but most suites still have a beautiful ocean view! The spot boasts an outdoor pool lounge, a fitness center, outdoor pool, and complimentary bikes for exploring the city. The rest of La Jolla is at your fingertips; the Village is just a few minutes’ drive (or bike ride) and you’re still close to everything the Shores has to offer. Their onsite restaurant, CUSP, is located on the 11th floor and boasts killer ocean views – a perfect spot for enjoying a drink and watching the sunset. As the hotel is now owned by Hilton as part of their CURIO Collection, the resort has gotten an upgrade in recent years and all of the rooms are refurbished; complete with balconies and water views. That coupled with a lush outdoor area surrounded by palm trees and foliage lend this cute spot a tropical, laid-back vibe; you’ll forget that you’re just minutes away from a bustling city! 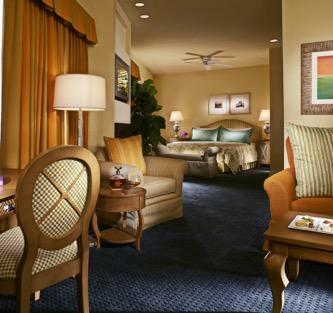 It’s the perfect destination for a couples’ weekend getaway or fun family trip. The hotels in La Jolla are tough to beat – beautiful, luxurious, and panoramic views for miles. But there is something to be said for the unique, home-away-from-home aspect of an Airbnb in La Jolla; especially when they are as jaw-dropping as some of the rentals we found in the heart of the Village! Not staying in a hotel definitely doesn’t mean you have to lose the luxe aspect of your vacation (or staycation). 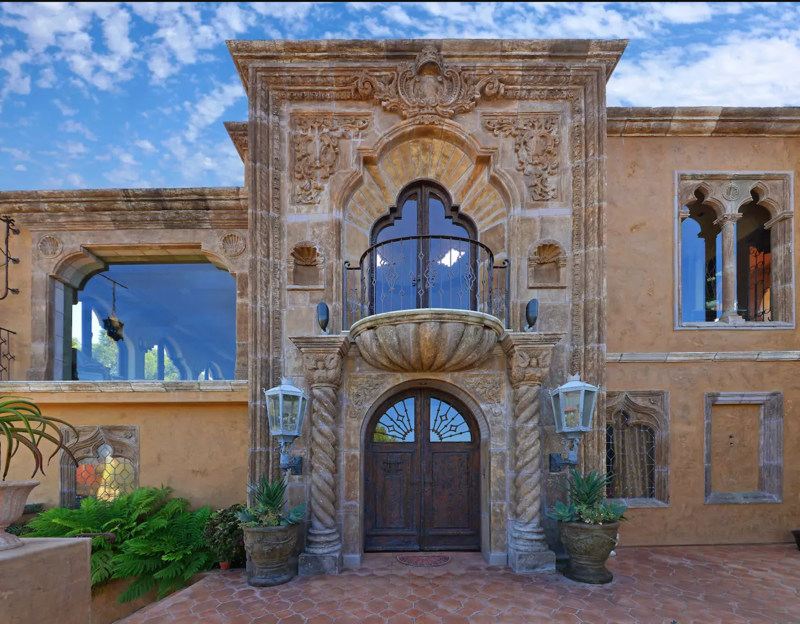 Here are 5 of the most breathtaking La Jolla Airbnbs – from mini castles to cliffside mansions. Where else in San Diego can you – literally – stay in a castle? Well, technically it’s a villa; but its Mexican oak doors, walnut wood floors, hand-chiseled Mexican Cantera stone and antique tiles imported from Spain say otherwise. Multiple gardens and fountains will remind you of old Europe, and the master suite opens to an authentic loggia and garden. Vaulted ceilings and Moorish-style domes complete the pretty much perfect picture. The aptly named “Villa Country Club” is a vacation in La Jolla done right! Just when you thought you’d seen everything, another one comes along. This unbelievable 4-bedroom villa has panoramas from every room in the house – especially the cliffside infinity pool. This is seriously an Airbnb unlike anything we’ve seen in La Jolla, and boasts 3 levels and 6,000 square feet of pure luxury. The property includes an elevator, spacious decks, outdoor BBQ area and fire pit, and of course, the vanishing edge pool and spa. Even the four-car garage has floor to ceiling windows! Come for the views, stay for the…views? 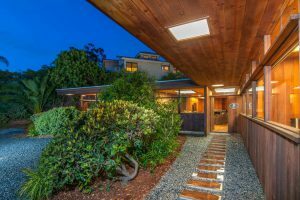 This historically-designated 5-bedroom, 3-bath is full of Mid-Century Modern flair, complete with redwood walls and floor-to-ceiling glass windows. Unique and architecturally stunning, this gem is definitely for the history buffs! Built in 1951 and sitting on a whopping 26,000-acre lot, the house features Roche Bobois, Ligne Roset, Baughman, and BDI furniture. It has a huge upper deck with ocean views and is just five minutes away from one of the most beautiful hikes in La Jolla – the Coast Walk! Ever wanted to stay in an award-winning house? Now’s your chance! This amazing 4-bedroom, 4.5-bath modern mansion was featured in the Winter 2015 edition of California Homes magazine and seriously lives up to its name. A huge glass wall separates the inside living area from the outside front patio and completely retracts, so you can fully experience the beautiful weather La Jolla offers year round! Plenty of modern art, decor, and furniture give it a unique vibe, and all the luxurious creature comforts (especially the bathtub next to the floor-to-ceiling window on the second floor) are enough to make us never want to leave! 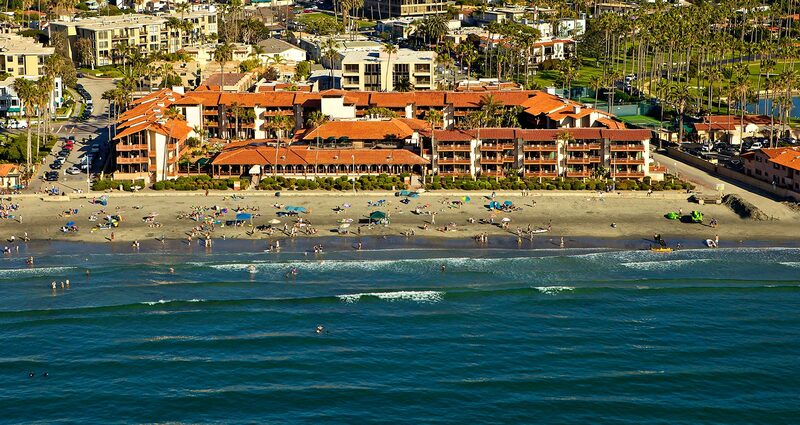 It’s also located right in La Jolla Shores, which is chock-full of incredible restaurants and great water activities. Hiking and outdoor aficionados, this one is for you! “Casa del Mar” is a 4-bed, 5-bath, 6,000 sq-ft modern oasis surrounded by trees and landscaping near the golf course. A garden-like outdoor patio and jacuzzi sits on one level while an outdoor living space (complete with a fire pit and couches) occupies another, this is definitely a space for enjoying Mother Nature – there are even stairs down to grass and a small garden area. The interior features its own set of interesting features; black cabinets paired with wood floors and some epic modern art combine to create an eclectic getaway. Booked your stay and looking for things to do? Check out the top things to do in and around La Jolla here. When you’re on vacation, you’re ready to relax and have planning made easy. By staying at a hotel with great dining at your fingertips, this comfort is easy to achieve. 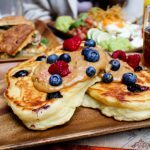 If you’re a local, enjoying a good meal at a restaurant in a La Jolla hotel can make you feel as if you’re on vacation yourself. Here are a few of our top picks for hotels with top-notch dining. 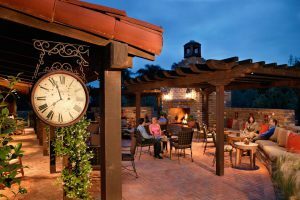 This all-inclusive resort in La Jolla’s Torrey Pines region offers not just one, but two restaurant options: the Adobe El Restaurante and Mustangs & Burros. Adobe El Restaurante, nestled on a second story patio that overlooks a large green courtyard, is their primary lunch location. 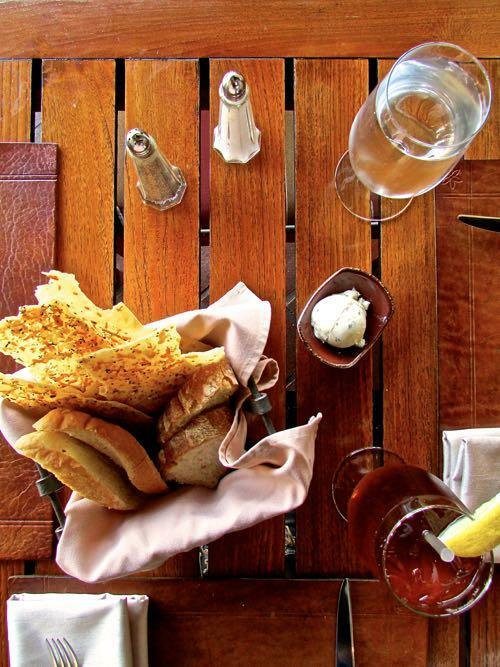 Sip on wine, and enjoy fresh sourdough with garlic butter from the bread basket while you wait for your main course, such as salmon nicoise salad, to arrive. Mustangs & Burros, the main dinner venue just southwest on the property, is mostly outdoors. With a magnificent fireplace, well-designed seating and a beautiful patio roofing, it’s got character that will transport you to another country. The food is magnificent, the menu offering a variety of options such as Mustang’s angus burger and coriander crusted ahi. The Nine-Ten restaurant at the Grande Colonial is award-winning on many levels. Its head chef Jason Knibb has received countless honors like “Best Chef in San Diego” and asked onto prestigious culinary shows such as “Iron Chef”. Enjoy his culinary creations at outdoor seating on Prospect Street, prime for people watching day or night, or sit inside to soak up the dim lighting and ambience of dinner time. The lunch menu is light and refreshing, ensuring you’re satisfied without feeling overly full. When it comes to the dinner menu, there are a variety of enticing 3 and 5 course meals that are prepared to the finest of quality. The 3-course dinner with wine pairings is ideal for those who value wine that’s been exquisitely selected for each course. For chocolate lovers in particular, the Banyuls M. Chapoutier dessert wine served with the half-baked chocolate cake combination is an absolute must. 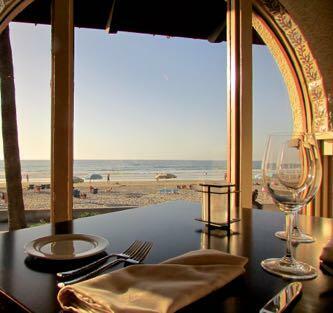 Have a beach getaway, even if for only an hour or two, at the Shores Restaurant within the La Jolla Shores Hotel. Situated directly on the beach, it offers magnificent views. Home to a wonderful culinary team, it also offers incredibly well-made food. Perhaps you want to do more than just dine at these locations, you’re interested in making a room reservation. Learn more about the hotel accommodations themselves at our blog: La Jolla’s Top 5 Hotels: Why to Book Now. Love a good drink and nice nosh in the late afternoon? La Jolla, California, certainly does; it’s why there are so many great happy hours in this coastal town. Many folks know about spots in the heart of La Jolla’s downtown village, but there’s a hidden gem right on the beach nearby. 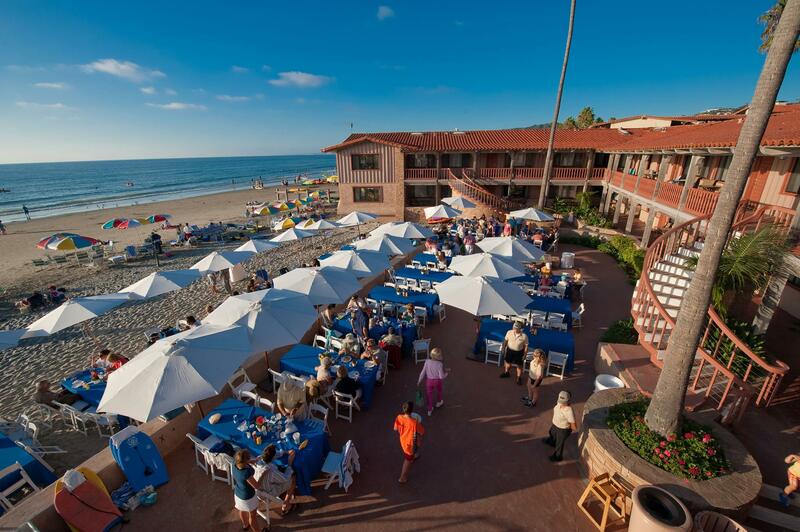 The La Jolla Shores Hotel has a restaurant directly on the sand that overlooks the Pacific, the Shores Restaurant. It’s safe to say that this view cannot be beat. I went to experience this seaside ambience and see if the food and drinks are as good as the location itself. After sampling the restaurant’s cuisine, I enjoyed a second drink, this time opting for a gin martini – with an olive rather a twist (also $7). Served extra chilled in a small glass, it packed a punch that had the ocean looking extra lovely. Percy, the head chef who creates this restaurant’s inspired menus, is proud to have happy hour be a time for people to relax and simply enjoy themselves. This fun, colorful atmosphere is reflected in the variety of dishes on the happy hour menu. When he said the Ahi Poke Tuna was a guest favorite that he, himself, likes to sample just about every day; I had to try it. The dish did not disappoint. The choice ahi is incredibly succulent, each tender bite light yet undeniably satisfying. The soft ahi pieces are mixed with chopped cucumber and avocado, which are then molded to form a cake topped with colorful greens. Beneath this, Percy and his culinary team masterfully spread a cream sauce and lay out a side of thickly sliced, baked potato pieces. It’s easy to understand why this dish is a continual crowd favorite. Another popular dish? The Beer Battered Baja Fish Tacos. 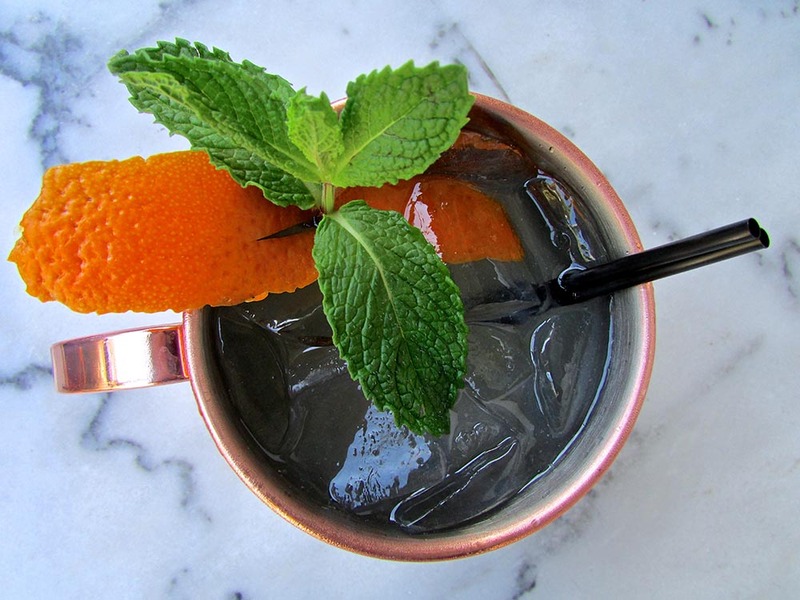 On the happy hour menu, you can get two of these Southern California favorites for just $10. If you’re feeling peckish for more, you can also order the regular menu tacos and get 3 for $15.75. This also allows you a few more protein options, as well, such as citrus grilled mahi mahi or the chipotle shrimp. It was a tough choice, but something about the chipotle shrimp sounded wonderfully appetizing. I’m not sure what was happier upon the plate’s arrivals, my stomach or eyes. The three corn tortillas were heartily packed with shrimp, shaved cabbages and cilantro crema. Tubs of salsa fresca and ripe guacamole on the side allow for customizing your own preferred ratio of sides. After drizzling my first taco with the lightly spiced, tomato-rich salsa and adding a large scoop of gauc, I tucked in. All I can say is that the cilantro crema (which comes on all of the taco options) is a game changer for this Mexican-inspired food. Savory and power-packed without adding the typical heaviness of a white cream sauce, it alone has me ready to come back to the La Jolla Shores Hotel. During the height of summer and peak seasons, people flocking to the beach can make for tough parking. However, don’t let that deter you from checking out this fantastic spot. Restaurant guests get great deals on parking their vehicles in the underground parking garage. If you park and get your ticket validated, you’ll receive $5 off your bill; that’s a free hour right there. Each hour after is a discounted rate, costing $3 for 2 hours, $10 for 3 hours and so on. So if you only pop in for a drink or a meal that lasts under 60 minutes, there’ll be no cost for parking at all. Reservation-wise, this place is such a local secret that one doesn’t typically need any reservations. 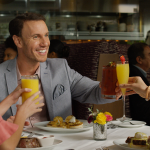 To be sure, it’s always safe to book them though and is recommended for holiday events such as Easter Brunch and Mother’s Day Brunch. 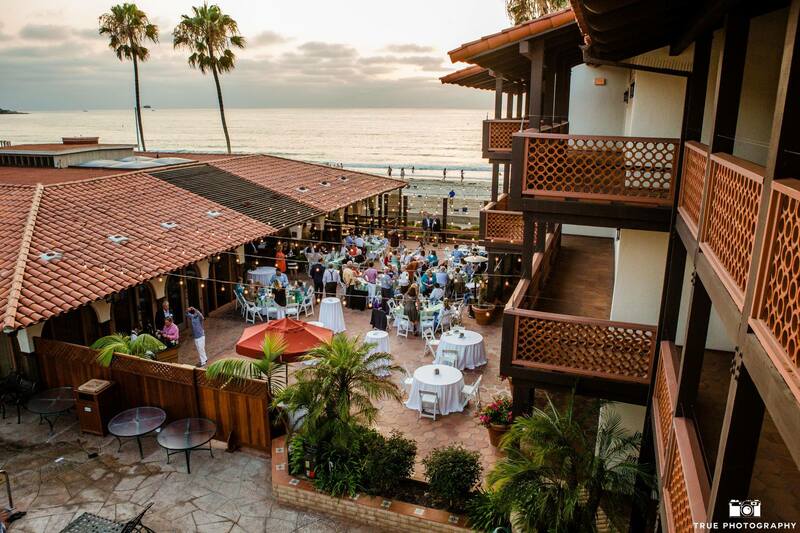 The La Jolla Shores Hotel & Shores Restaurant is located at 8110 Camino Del Oro, La Jolla, CA 92037. With the beach and plethora of nearby activities, there’s an incredible amount to do in this area. We recommend coming for the cuisine, drink and the day. 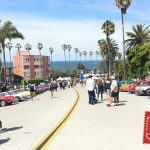 We already have the planned itinerary for you to do so at La Jolla Shores: Make a Day out of it! Everyone needs to take a break from the madness of day-to-day life. Sometimes, however, you want to escape without all the time and planning it takes to visit far-off places takes. The beauty La Jolla? You can feel a million miles away without having to go far at all. If you’re ready to start making your dream of vacationing a reality, we’ve put together top tips to simplify the process. What kind of trip are you imagining? Once you know the experience you desire, it’s easy to select the hotel that will offer the right accommodations. For example, if you’re looking for an all-inclusive resort where everything, from the food and pool to spa and workout facilities, is at your fingertips, we recommend the Estancia Hotel & Spa. Once you enter the premises, there’s no need for you to run around town for anything else. If you’re dream vacation is on a far off continent, La Jolla has hotels that make you feel as if you’ve teleported. Stay at the Pantai Inn to feel like you’re in Bali or book a suite at La Valencia for a European-styled vacation. If you’re looking to relax in this neck of the woods, it’s fair to assume you’ll be visiting the beach. 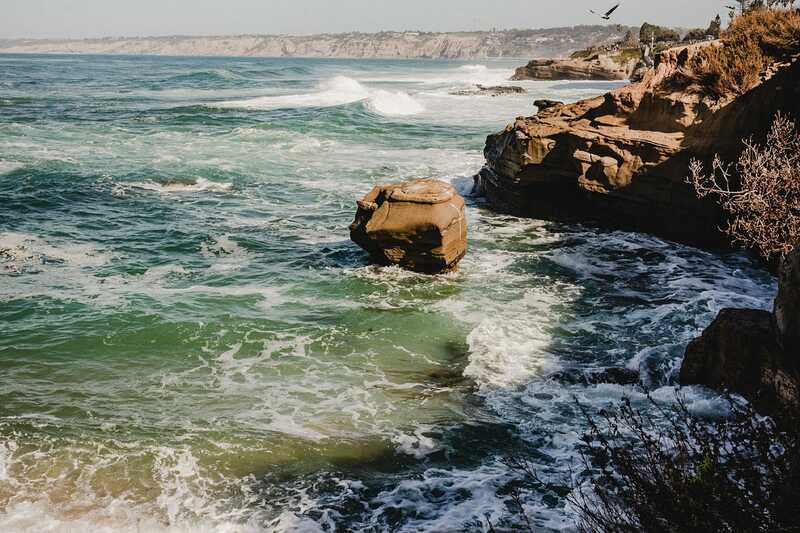 Each one in La Jolla has a different atmosphere, so, to cater the trip to your own personality, check out which ones appeal to you at our Beaches Directory. Bathing Suit. Sandals. Sunscreen. Good walking shoes. Sunglasses. Jacket (for some surprising cool nights and mornings). A good book. Work. It’s time for a well-deserved break! You may already planning to hit a certain restaurant or try a specific activity like kayaking. Why not check out a site that may offer a discount? Head to our partners over at La Jolla Deals to see what exclusive offers are available. If you’re interested in seeing a show or concert, look in advance to make sure your seat(s) is reserved ahead of time. Learn more about the local venues, like La Jolla Playhouse, and what they have to offer at our Entertainment Page. Last but not least, transport. At some hotels, paying for a parking spot can add up to a good chunk of change. If you’re coming from nearby anyhow and not planning to drive once in staycation mode, check out how much it would cost to travel by taxi or Uber. If it does indeed cost a lot less, save that money for afternoon drinks or a night at the Comedy Store!